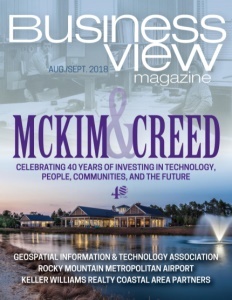 Business View Magazine interviews representatives from McKim & Creed as part of our focus on best practices of engineering and consulting firms. As one of the largest and most comprehensive geomatics firms in the U.S., McKim & Creed understands that complete and accurate data is the foundation—the building block—of every project. Whether it is new design, construction, or to just better understand the existing physical conditions of an area, the ultimate success of any project relies on comprehensive and accurate data and analysis. 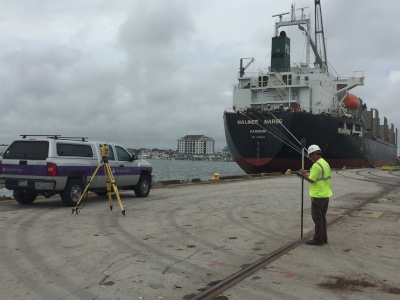 For example, when the Wilmington, North Carolina police were investigating an insurance fraud case, McKim & Creed hydrographic surveyors used multibeam technology to uncover vital evidence. “The multibeam survey technology was instrumental in obtaining a conviction in this case,” said William Van Trigt, Esq., Assistant District Attorney for New Hanover County. And when our client needed an independent survey for volume calculations at a 185-acre reservoir site in Texas, McKim & Creed collected accurate data using unmanned aerial systems (UAS). The owner had been reluctant to use UAS due to poor past experiences, but was so pleased with the results that McKim & Creed was commissioned to collect volume calculation data every few months until excavation was completed. And when a Canadian company needed to build temporary dikes that withheld water so diamonds could be mined, McKim & Creed configured, installed and provided training for a customized GPS position and monitoring system. This allowed crane operators to accurately track when, where, and how much fill material had been placed. 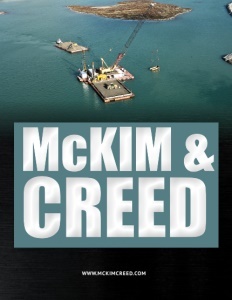 McKim & Creed was founded in 1978 by Herbert P. McKim, Jr, PE, PLS, and Michael W. Creed, PE, Ph.D. 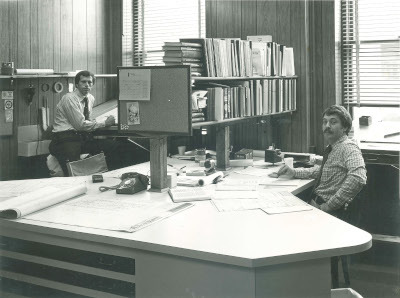 The firm began as a two-person company providing structural engineering services to architects. Today, McKim & Creed is a 500-person, employee-owned firm with 19 offices in six states, and provides geomatics and engineering service to public and private clients throughout the country. The firm’s geomatics business unit provides approximately 50 percent of McKim & Creed’s annual revenue. 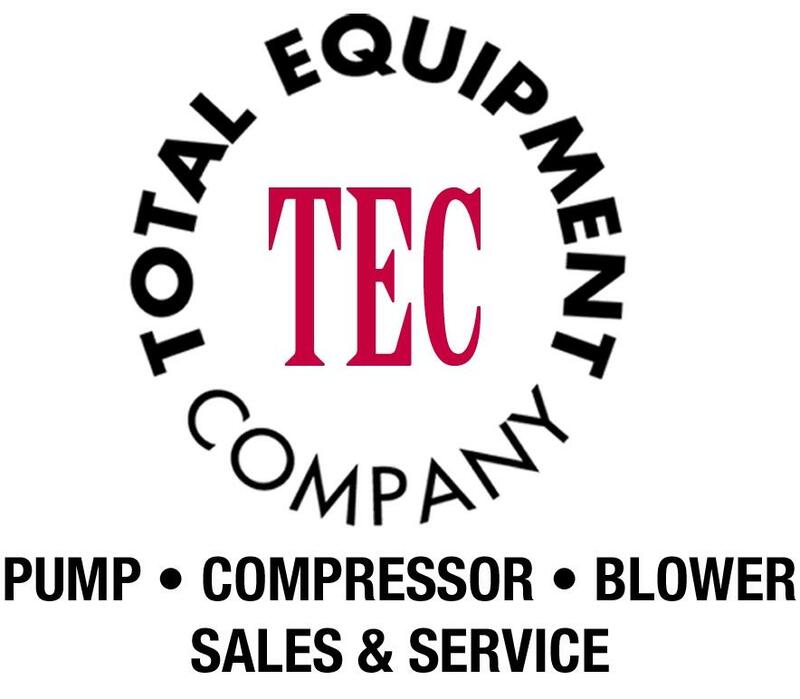 For four years, the company has been recognized as the No. 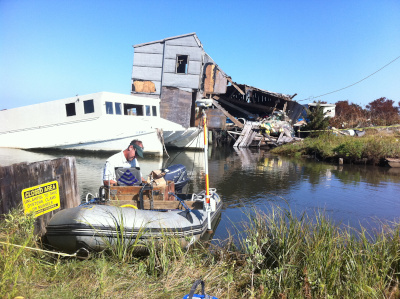 1 Surveying and Mapping Firm in the Southeast by Engineering News-Record Southeast. McKim & Creed has also been ranked among the Top 100 Land Surveying, Mapping and Geospatial Firms by Point of Beginning magazine, and one of the Top 25 Trenchless Design Firms by Trenchless Technology magazine. McKim & Creed is consistently acknowledged as an industry expert, with requests for speaking engagements at international, national, and local conferences. Furthermore, the company has won numerous awards for its geomatics work, including two Grand Conceptor Awards—the highest award given by the American Society of Engineering Companies of North Carolina— for its use of mobile LiDAR for transportation projects and a proof of concept involving UAS for coastal mapping. McKim & Creed has become leader in the geospatial industry because of its expertise, dedication to work, innovative solutions, and investment and application of cutting-edge technologies. These technologies include airborne, mobile, and terrestrial LiDAR/scanning; UAS (drones); subsurface utility engineering; and hydrographic and conventional surveying services for the energy, transportation, federal, oil & gas, land development, water and building markets. From its earliest days, McKim & Creed has operated on the principle that people are the most critical differentiator in the world of business. This helps explain the longevity of many of the company’s employees. Cawood, for example, was hired as a survey crew rodman in 1985 and was one of McKim & Creed’s first employees. He is now a senior vice president who oversees the companywide geomatics business unit. In 2004, McKim & Creed invested in its workforce by expanding ownership opportunities to all employees. Through the Employee Stock Ownership Plan (ESOP), every eligible employee becomes an owner of the company. In addition, McKim & Creed provides employees the opportunity to purchase additional shares of stock through an employee stock purchasing program. The ESOP owns just over 50 percent of the company—the remainder is owned by employee stockholders and company founders—making McKim & Creed an employee-owned enterprise. Commitment to, and investment in, its people has become a part of McKim & Creed’s DNA, and is the foundation of the company’s vision to be “people helping people define and achieve their goals and dreams.” This includes everything from helping clients bring their projects to reality to supporting community events and charities. “We believe very strongly in giving back to the communities where we live and work,” says Cawood. “For example, we are heavily involved in Bike MS. We’ve raised nearly $50,000 to help find a cure for MS, and participate in Bike MS events in North Carolina, Florida and Pennsylvania.” The firm has furnished financial support and sweat equity for numerous other non-profits, including Habitat for Humanity, the Leukemia & Lymphoma Society, Meals on Wheels, and Ronald McDonald houses, to name a few. Going forward, Cawood reports that the company’s strategy is to maintain solid relationships with existing clients, and growth; primarily in regions where, heretofore, the company has only gained a toehold. “Texas is going to be a primary focus for growth,” he asserts. “We’re well known throughout North Carolina and Florida, the regions where we’ve been for a while. But in Texas, we want to expand our presence. If you look at the population, simply of the metroplex of Houston and Dallas, combined – that’s 15 million people. So, there is a significant potential for growth in Texas. Right now, we provide only geomatics services in Texas, but we count on bringing our other business units to the state soon.” The company’s other business units include Water; Planning and Land Development; and Building, Energy and Infrastructure. Check out this handpicked feature on Bracebirdge Ontario – The heart of Muskoka.